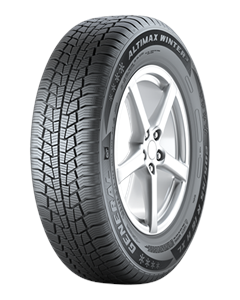 The Altimax Winter 3 comes with an improved pattern concept armed with plenty of gripping edges that support a powerful grip on snow and ice. The pattern features gripping edges that are positioned at various angles to provide exceptional traction in all driving directions. The specific tread structure interlocks efficiently with the snow for better grip and cornering stability. Engineered to achieve a better transmission of forces, the tread design significantly improves the tyre's handling characteristics, especially on dry roads.